As one of South Eastern Australia's most beautiful surf beaches, a 6-kilometre ribbon of white sand, Pambula Beach is an undiscovered treasure of the South Coast of New South Wales. Pambula Beach lies on the northern tip of the Ben Boyd National Park and just south of the busy town of Merimbula. The area is known as the Sapphire Coast and is almost equidistant from Sydney and Melbourne. 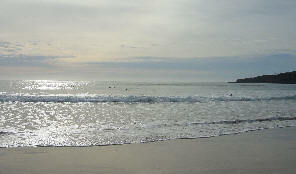 The beach and beach community are located approx. 2km from the historic village of Pambula. Although the Pambula region was explored by Europeans in the late 1700s (George Bass put in to Pambula River) the area was only settled in the 1830s. Many of the original colonial buildings remain intact, including "The Retreat" (1850s), "The Grange" (1851), the Court House (1860) and others. 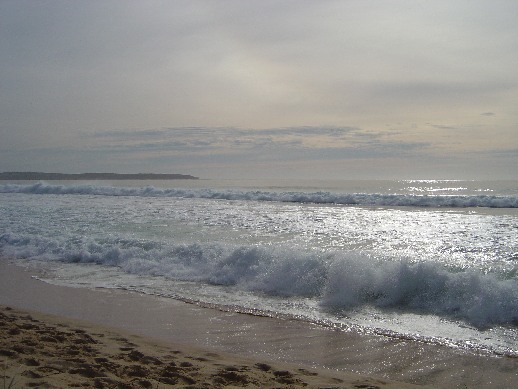 This site contains photographs of Pambula Beach and the surrounding area.